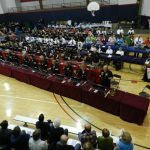 The next Western Pennsylvania Handbell Festival (WPA) will be Saturday, March 30, 2019. 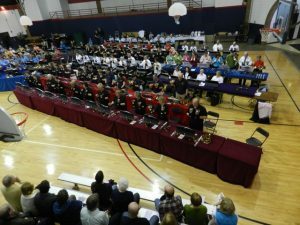 Three Rivers Ringers has presented and managed the WPA Festival, geared toward beginning and intermediate handbell ensembles (Level 1 and 2), for the past seven years. The WPA Festival is now a biannual event, and so the next festival will be Saturday, March 30, 2019 with Sandra Eithun as the Festival Clinician. Stay tuned for more details as they become available. To enlist Three Rivers Ringers to help you develop your own skills or those of your handbell musicians, please email us at wpa@threeriversringers.org. Please tell us what your needs are, and we will work with you!